Jill Stein is not the savior the left is looking for. 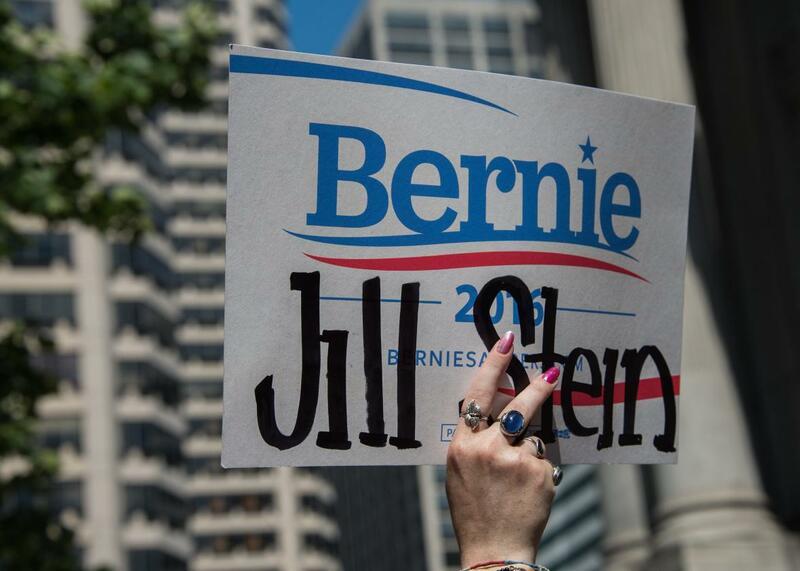 Now that Hillary Clinton has officially won the Democratic presidential nomination, chances are we’re going to hear a lot more about Jill Stein. The Green Party candidate, currently polling in the low single digits nationally, has been gunning for the support of disaffected Bernie Sanders fans, urging them to “keep the revolution going” by getting behind her own long-shot White House bid. Tuesday, she was on hand at the Democratic convention to meet aggrieved Sanders delegates, some of whom formed a small crowd around her to chant, “Bernie or Jill.” Thanks to progressive grassroots rage, she may well peel off a few percentage points of the vote come the fall, when she’s expected to be on the ballot in about 47 states. Which is a pity. Because even by the standards of protest candidates, Stein—whose press team did not respond to an interview request—is an absolutely awful torchbearer for the far left. She’s a Harvard-trained physician who panders to pseudoscience. She mangles pet policy issues. And her cynical retelling of the past eight years has nothing to do with the reality of recorded history. Tucked into this long, starry-eyed list of progressive causes are a few lines that remind you of the far left’s fraught relationship with biological science. There’s a call not just to label genetically modified foods but to “put a moratorium on GMOs and pesticides until they are proven safe.” Never mind that scientists have studied GMOs extensively and found no signs of danger to human health—Stein would like medical researchers to prove a negative. She would also “Ban neonicotinoids and other pesticides that threaten the survival of bees, butterflies, and other pollinators.” This is a nod to the discredited theory that some pesticides are driving the collapse of honeybee populations (which, by the way, are not actually collapsing). Again, this is somewhat standard stuff on the far left these days, but coming from a physician, it’s discouraging. It is also in keeping with the last official Green Party platform, from 2014, which supports the “teaching, funding, and practice” of “alternative therapies” such as naturopathy and homeopathy, i.e. funneling money into quack medicine. (Stein first ran for president as a green in 2012). That’s a straightforward answer about vaccines. Risking the health of other people’s children to satisfy your own minority concerns about medical science is wrong. This might sound like a small distinction if you’re not a monetary policy obsessive. But it’s absolutely essential to understanding what the Fed was doing, and the rationale behind it. (Among other things, holding onto the debts, rather than canceling them, was a key part of how the Fed planned to contain inflation down the line.) Stein’s description is so far off, it’s as if someone asked her how to play basketball, and she answered that teams scored points by kicking the ball off the backboard.